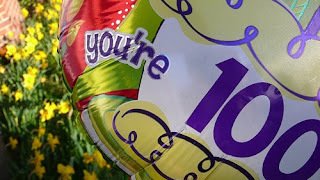 The blog entry from The Stamford Historical Society says "100th Birthday Party – help us spread the word," so I'm doing just that. On Sunday, October 25th from noon to 4pm, enjoy music, munchies and even a lil' magic at 1508 High Ridge Road. The event features an exhibit called 100 Years in the Making: Highlights from the Society’s Collections. Adult admission is $10, children 4-12 $5 and younger than 4 gets in for free.